If you have been overpaid by Centrelink you will have a debt raised against you. Even if you have done nothing wrong, or the overpayment was a result of a genuine mistake on your part, you will still be required to pay back the outstanding amount. Unfortunately, in many cases, this can cause considerable financial hardship, especially if the overpaid amount is in the thousands or tens of thousands of dollars. Although the State Debt Recovery Office (SDRO) allows for repayment of fines through community work, it is not usually possible to switch paying a Centrelink debt to community service work. If you can’t afford to pay your Centrelink debt, it is a good idea to speak to a criminal lawyer as you may have a few other options, depending on your circumstances. Why would Centrelink overpay me? Centrelink overpays for a number of reasons and it is not necessarily due to any mistake on your part. 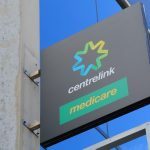 Centrelink collects overpayments made on behalf of Medicare and child support as well as government benefits and financial assistance. It can often make mistakes calculating benefits, which staff may not realise for a significant period of time. You can also be overpaid if you have incorrectly reported your income or circumstances. This could be due to a genuine mistake on your part or through an intention to obtain benefits to which you weren’t entitled. If Centrelink believes that you have been defrauding them, it may investigate further and bring criminal charges against you. 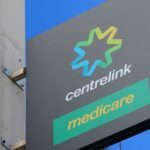 Regardless of the reasons for the overpayment, and whether Centrelink is taking further action, you will be required by law to repay the overpaid amount. Failure to repay can lead to criminal charges so it’s important not to ignore any requests to repay a Centrelink overpayment. If you can’t afford to repay the debt immediately, you can set up a payment plan with Centrelink. This will usually involve taking a regular sum out of your payments or direct debiting it from your bank account until the debt is repaid in full. It’s important to make sure that you aren’t repaying more than you can afford as this can lead to further difficulties. Although Centrelink will nominate an amount to deduct from your payments on a regular basis, it is possible to renegotiate if you believe the amount is too much. What if I can’t afford to repay my debt? If you can’t afford to repay your debt or if you believe that the amount you have been asked to pay is incorrect, it’s a good idea to seek legal advice. In some cases it may be possible to appeal the amount and have it reduced, or have the debt waived altogether. Your lawyer will be able to advise you as to whether you should appeal to have the debt written off. In cases where you can show that paying off the debt would incur extreme financial hardship. If the mistake was made solely on behalf of Centrelink and you did absolutely nothing in error (administrative error waiver). This can only be applied for if the mistake was raised more than six weeks after the administrative error was made. If there are “special circumstances” which would make it very difficult for you to repay the debt. These include things like you or a family member having high medical costs, you having a disability that would make it hard to understand or comply with Centrelink rules, or any other unusual circumstances that you or your family have suffered. It’s up to you to request a waiver, and Centrelink will then assess the merits of the request. If you think you might be eligible, you may wish to seek independent legal advice about your likely prospects. If you are successful at having your debt waived, you won’t have to pay any of it. Centrelink has an appeals process in place for anyone who is unhappy with a decision. It is a good idea to inform Centrelink you would like to appeal in writing and ask to appeal to an Authorised Review Officer (ARO). It’s best to do this as soon as possible, and you will need to apply for an appeal within 13 weeks of receiving your original notice if you want to receive back pay for any amount you have already repaid. If you are still unhappy with a decision after appealing to the ARO, you can undertake further appeals to the Social Security Appeals Tribunal or to the federal court. If you are struggling with Centrelink debt, or if you have been accused of social security fraud, speak to an experienced criminal defence lawyer to find out your options. In certain circumstances, a private lawyer may even be able to make an application on your behalf for legal aid and the Legal Aid Commission may fund your defence.